What would we do without our favorite go-to pair of jeans? They are an absolute wardrobe essential! Whether you’re a fan of classic or distressed, skinny or boyfriend, we’ve got you covered for all your denim needs. We love wearing jeans (like, everyday) because there are so many ways to style them, the possibilities are endless. The same pair of jeans can be worn casually with a vintage t shirt and sneakers, or dressed up with a cropped blouse and heels. So whatever your style is, and whatever the occasion is, we believe the perfect pair of jeans will take you anywhere you want to go! With a variety of styles from boho and beachy, to trendy and edgy, to classic and timeless jeans, we’ve got the perfect pair for you that will compliment your style, flatter your figure, fit comfortable, and last for years and years! Shop all jeans here! You can never have too many pairs of jeans as a boho and chic styled woman! Here at BitterSweet we carry some of the best brands that make the absolute best jeans! Whether it’s fall or spring, our jeans surely will make a statement in your outfit! In today’s modern fashion world, there are so many different styles of jeans and sometimes it can be hard to find the perfect pair for you. However, we have trendy, boho and edgy jeans of all different styles that will keep you looking fashionable in every season! We can’t forget to mention how high quality our jeans are! The brands we carry make jeans that will last you years so you will never again have to worry about not having a good jean to wear! Skinny jeans are amazing for making your legs look longer and keeping everything pulled in! Sometimes the assumption of skinny jeans is that they are super uncomfortable, however the brands we carry take your comfort needs into consideration! DL1961 makes some of the best trendy skinny jeans that come in tons of different washes and styles! The best thing about these jeans is that you can wear them with any kind of top. For instance, you can wear sweaters, tanks, cardigans, and crop tops with these fun boho chic skinny jeans! In the fall or winter, you can wear a boho chic turtleneck with a pair of any wash of skinny jeans. Even in the spring and summer boho skinny jeans are still trendy and fashionable to wear with a tank or crop top! Women’s skinny jeans are a trend that will forever be in fashion! Everyone is obsessing over trendy boyfriend jeans! With their comfortable and ever so form fitting style we are sure that you can find the perfect pair for you! Women’s boyfriend jeans are the perfect piece for any season as well. You can rock these jeans with just about anything! If you are having a more casual day, you can pair a cute t-shirt with these jeans and throw a pair of flats on, giving you a complete and fashionable, yet effortless outfit! These boyfriend jeans are also a great trend for the summertime! 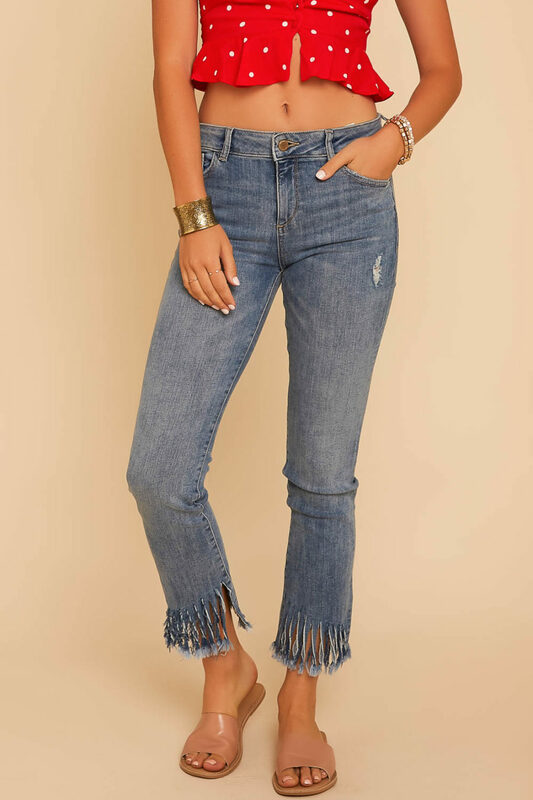 Whether you are feeling a crop top or bodysuit for that day, these boyfriend jeans are the perfect completing piece! Luckily we have some of the best boho chic women’s boyfriend jeans online so you can find the perfect pair for you! Straight leg jeans are perfect for anyone who loves to have a comforting feel on their legs and loves a classic yet trendy look. Unlike skinny jeans, straight leg jeans just flow straight down your legs giving you a loose, yet in tact feel! 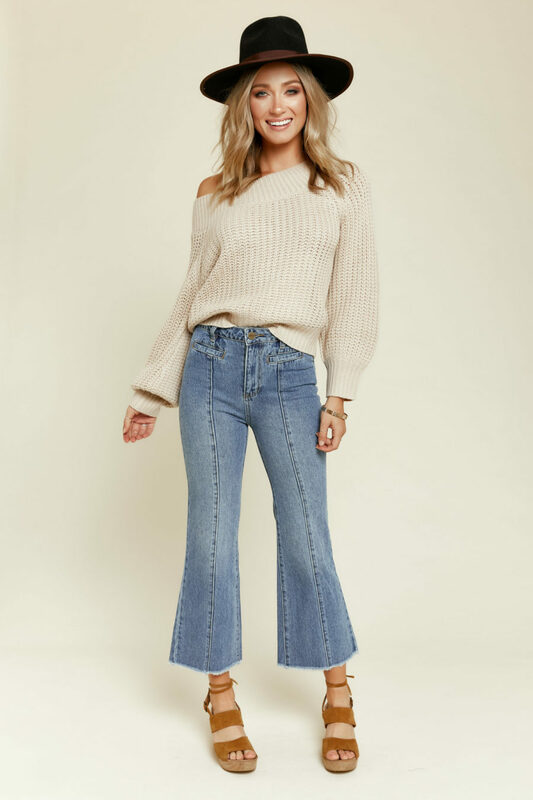 Straight leg jeans have forever been a trend and with the brands we have here at BitterSweet, they are now coming in even more different styles! We love to pair a straight leg jean with a vintage band inspired tee and throw a cardigan and Brixton hat on with it as well! However, straight leg jeans are very fitting for any special occasion you may have to go to. Black straight leg jeans are perfect for when you need to put a fancy top and heels for a more formal occasion! 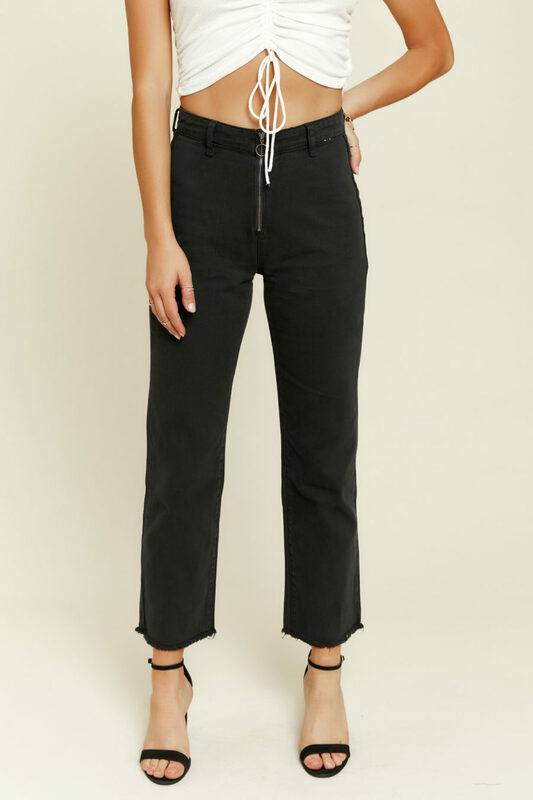 So, whether you are looking to pair these straight leg jeans with casual or fancier top, go ahead and take into the ones we have here to offer! High rise jeans were so popular back in the day and fortunately, we are bringing them back and we are so thankful these babies are back! 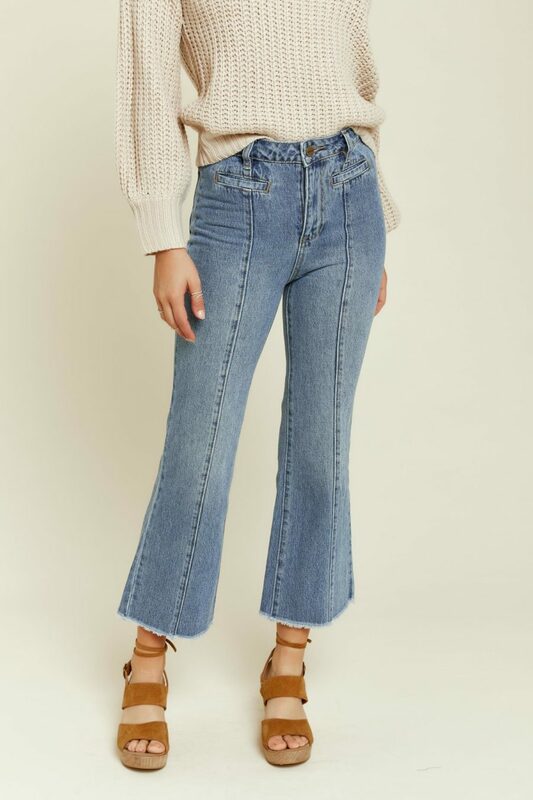 These women’s boho high rise jeans are amazing when paired with a cropped shirt or sweater, or really just all the time (can you tell we’re obsessed)! With that being said, you can wear these jeans in any season! One Teaspoon makes some of the best high rise trendy jeans that come in a wide range of styles and washes! High rise boho jeans are perfect for making your legs look a thousand times longer. One Teaspoon makes super high quality women’s high rise jeans so you can keep wearing them for years! We love to pair high rise jeans with a cropped tank top and a pair of wedges for going out to dinner by the beach in the summertime. 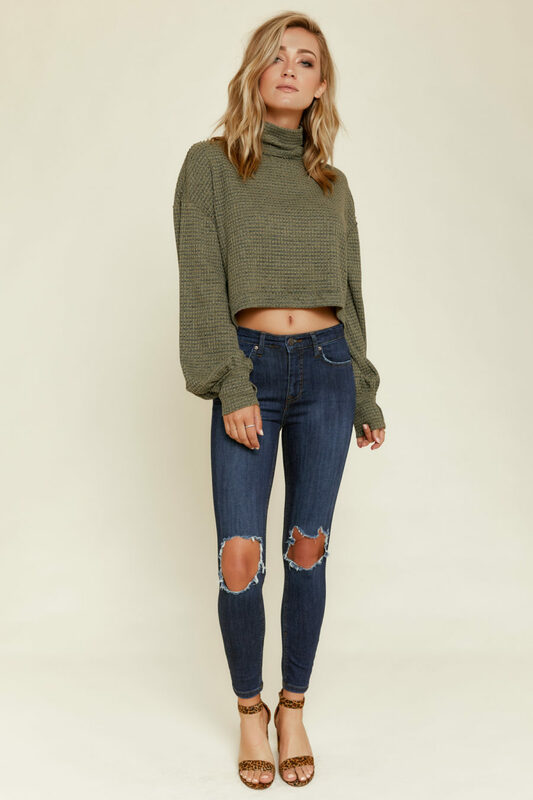 But don’t let these jeans fool you, you are still able to match them with the perfect cropped sweater and some booties to keep you looking as fashionable as always in the fall and winter seasons! However you decide to wear them, high rise jeans are definitely one of our favorites! Distressed jeans can sometimes scare people off due to the amount of loose strings they have, but here at BitterSweet we have the perfect amount of strings attached to ours! These trendy chic distressed jeans are absolutely such a trend right now because they can be worn so many different ways! 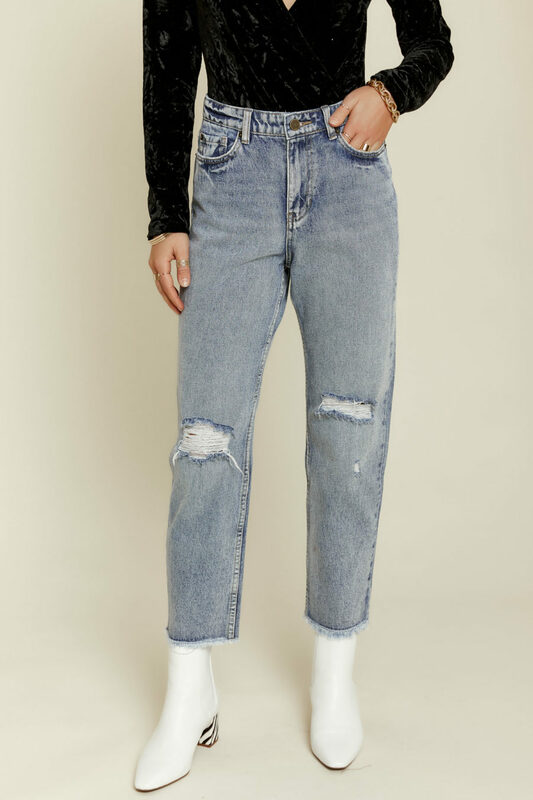 If you are going out for the night, you can wear these jeans with a trendy cropped shirt and a pair of block heels to have compliments headed your way in a heartbeat! On the other hand, if you are looking for a pair of distressed jeans to wear on a casual day, you can rock any kind of top with these trendy jeans! 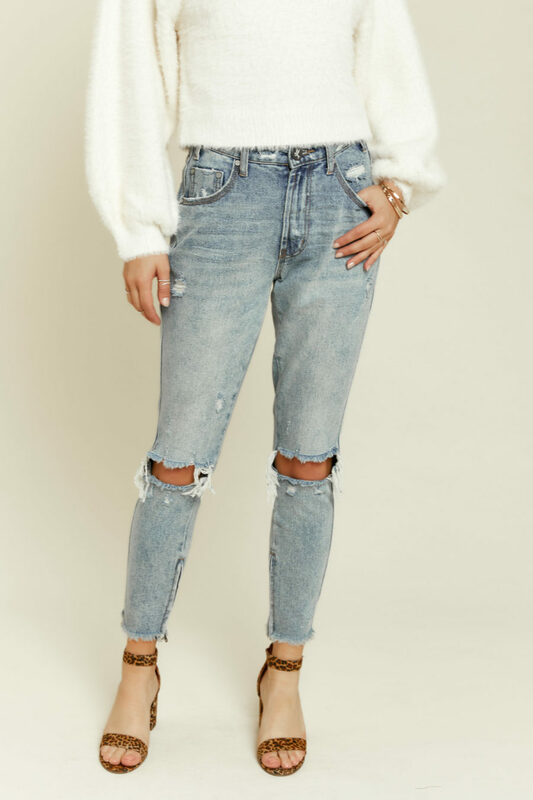 Our favorite way to wear distressed jeans is with a trendy boho flowy top, or in the winter with a boho chic faux fur coat on top! No matter what your fashion taste is, distressed jeans come in all sorts of styles and we can assure you’ll find the perfect pair for you! We are loving all the variety of jean styles! From boyfriend jeans to boho high rise skinny jeans, we have it all for you! There are so many different ways to wear jeans no matter what your unique style is! Also, with the quality of our jeans you can continue to rock your fashionable style for years on end. Jeans have always been the perfect completing piece to any outfit and we take that into consideration for you by carrying some of the best brands that make some of the cutest styles just for you! With all of the different boho jean trends there are at the moment, you can never have too many pairs! 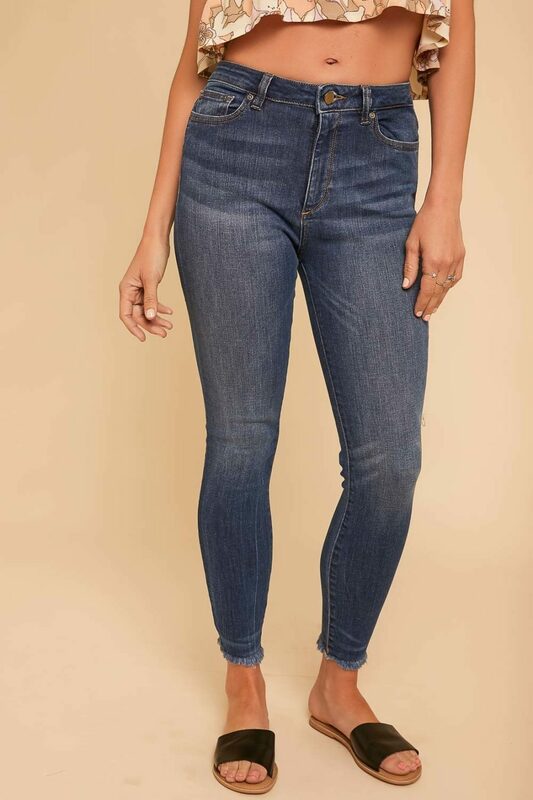 Go ahead and take a look at all of the different styles we have of women’s jeans online and treat yourself to an amazing pair! Shop with us in Roanoke, Charlottesville, or Lynchburg,VA or of course at our trendy and boho chic online boutique!